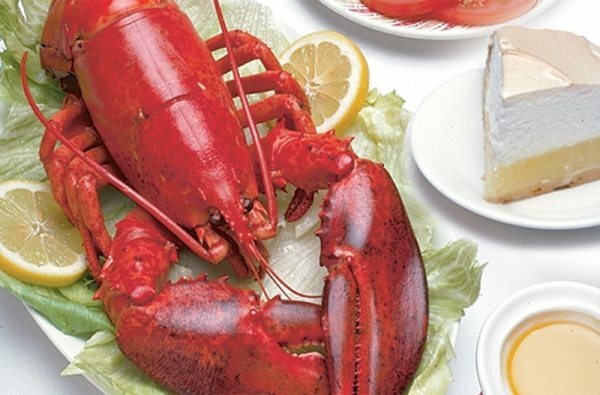 Serving lobster suppers since June 24, 1958. 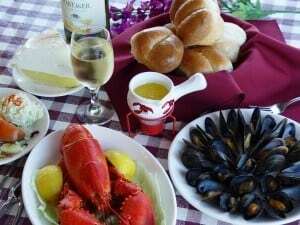 Specializing in fresh lobster from our pound on the premises. 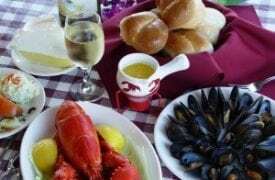 Meals include rolls, seafood chowder, cultivated mussels, salad, desserts, beverages. 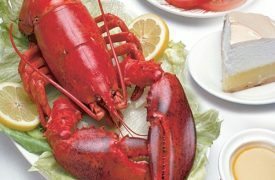 Enjoy lobster, scallops, salmon, chicken, haddock, vegetarian, steak or baked ham. Children’s menu available. Seating for 500 guests.